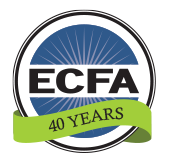 While certain ECFA standards require external evidence of financial accountability, such as distributing financial statements, Standard 6 deals primarily with internal behavior and decision-making, which are related to intent and integrity. This standard provides additional assurance to donors and other supporters that the accredited organization sets compensation and handles financial transactions in the best interests of the organization and its ministry. As with other standards, compliance with this standard does not guarantee that all activities are in the best interests of the organization. It does provide for a more objective and accountable environment. 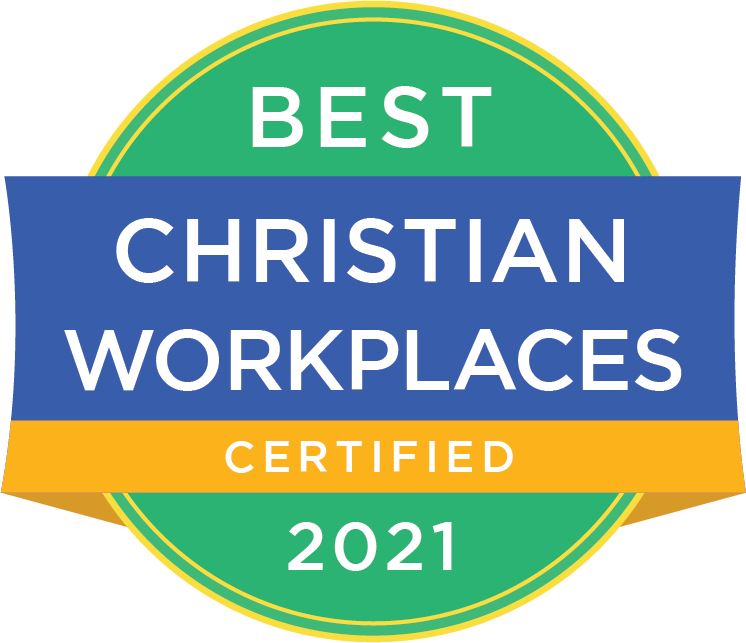 Another goal of this standard is to provide to accredited organizations some good financial management principles, helping them to achieve the best long-term results while bringing honor to the Lord. Anyone who has been involved in the leadership of a church or nonprofit organization has most likely experienced a situation in which a donor, board member, or other influential person has tried to conduct business with the organization in such a way as to gain some personal benefit. This may include offering products or services to a nonprofit organization which could be secured at a lower price from other sources or promising future gifts only if the organization conducts business with a particular individual or company. Compliance with this standard assists leaders in withstanding such efforts by helping them make the right decision for the organization and themselves. Similarly, one aspect of governance practices that requires special attention is the area of compensation-setting. This is a reality that all organizations must firmly handle with utmost accountability and integrity. Ultimately, this responsibility lies with the board, which, in accordance with Standard 2, is comprised of a majority of independent members. I Samuel 12 provides guidance as we seek to work within the spirit of this standard. In this chapter, Samuel is near the end of his service as high priest of Israel. He is about to admonish Israel for its disobedience, but before he does he reminds them of his integrity in all his dealings with them. Samuel said to all Israel, “I have listened to everything you said to me and have set a king over you. Now you have a king as your leader. As for me, I am old and gray, and my sons are here with you. I have been your leader from my youth until this day. Here I stand. Testify against me in the presence of the LORD and his anointed. Whose ox have I taken? Whose donkey have I taken? Whom have I cheated? Whom have I oppressed? From whose hand have I accepted a bribe to make me shut my eyes? If I have done any of these things, I will make it right.” “You have not cheated or oppressed us,” they replied. “You have not taken anything from anyone’s hand.” Samuel said to them, “The LORD is witness against you, and also his anointed is witness this day, that you have not found anything in my hand.” “He is witness,” they said (1 Samuel 12:1–5). It is on this solid record of faithful, honest service that Samuel has the place of integrity to speak into the lives of his people. To demonstrate this level of integrity, organizations should avoid inappropriate compensation-setting practices and conflicts of interest. Compensation-setting practices. Compensation-setting practices should be consistent with generally accepted biblical truths and practices, should not cause a diminished Christian witness, and should comply with ECFA’s Policy for Excellence in Compensation-Setting and Related-Party Transactions, as reflected at the end of this commentary. Every organization should exercise care and diligence in setting compensation and benefits to ensure that total compensation of its top leader and all of its employees is reasonable, taking into consideration the skills, talents, education, experience, performance, and knowledge of the person whose compensation is being set. For purposes of Standard 6, total compensation includes salary, wages, other payments for services, and benefits of all types, whether taxable or non-taxable, and whether paid directly or indirectly by the organization or one or more of its subsidiaries or affiliates. For purposes of Standard 6, family as described in the Policy for Excellence in Compensation-Setting is consistent with the definition of blood or marriage relationships under Standard 2. Related-party transactions. Related-party transactions are those occurring between two or more parties when one party has a responsibility for promoting one interest (a fiduciary interest) but has a competing interest at the same time. This standard requires that these transactions be conducted in a manner that demonstrates integrity and propriety, while meeting ECFA’s Policy for Excellence in Compensation-Setting and Related-Party Transactions. Certain related-party transactions may clearly be advantageous to, and in the economic benefit of, the organization. However, even if a transaction is economically beneficial to an organization, it may raise a public perception of questionable integrity or create a perception of self-dealing, and thus, should be avoided. For purposes of Standard 6, payments for the use of property, whether tangible or intangible, including purchases, rentals, licenses, and royalty arrangements are considered payments for property, and to the extent such payments are made to a “disqualified person” (generally those who may exercise substantial influence over an organization, such as leaders or board members), such arrangements constitute related-party transactions. Seeking professional guidance. Organizations should consult with their tax counsel in establishing compensation for their leaders and in entering into related-party transactions to ensure compliance with federal tax and other applicable law, and consider steps that may be taken by the organizations and their leaders to avail themselves of protections that may be available under the law in connection with compensation-setting and related-party transactions. Summary. Properly addressing compensation-setting practices and related-party transactions demonstrates integrity in handling some of the most sensitive dealings in the life of an organization. Ensuring that these dealings are always in the best interest of the organization is a fundamental principle. The board or a committee authorized by the board of every organization shall annually approve the top leader’s total compensation package, and shall be notified annually of the total compensation package of any member of the top leader’s family who is employed by the organization or any of its subsidiaries or affiliates. Such approval and notification shall be documented in the minutes of the organization’s board or committee meetings. otherwise have a conflict of interest. The board or committee shall obtain reliable comparability data with respect to the position for which compensation is being set. Such comparability data shall be for functionally comparable positions, and shall be for organizations as similar as possible to the organization and shall be updated at least every five years. The board or committee shall determine appropriate total compensation, taking into consideration the comparability data referred to above, as well as the skills, talents, education, experience, performance, and knowledge of the person whose compensation is being set. The board or committee shall document its compliance with the requirements described above. The board or committee shall contemporaneously document its decision regarding total compensation and, if applicable, its rationale for establishing compensation at a level that exceeds that which is supported by the comparability data. If the process described in steps 1–5 above is conducted by a committee, the board shall determine its role in affirming, ratifying, or otherwise approving the total compensation package. Board members who have a conflict of interest in determining total compensation (such as employees of the organization) should be recused from any deliberations regarding the compensation of the top leader. The organization contemporaneously documents the elements described above, as well as the board’s or committee's approval of the transaction. If the process described in steps 1–4 above is conducted by a committee, the board shall determine its role in affirming, ratifying, or otherwise approving the transaction. Board members who have a conflict of interest with respect to the transaction should be recused from any deliberations regarding the transaction. Organizations are encouraged to consult with tax counsel in establishing compensation for their top leaders, including any person who meets the definition of a disqualified person, and in entering into related-party transactions to ensure compliance with federal tax law and other applicable law. Tax counsel may assist an organization and its leaders in taking steps to avail themselves of protections that may be available under the law in connection with compensation-setting and related-party transactions.